As you might remember, if you send an ally who has been conferred a blessing into battle together with a Legendary Hero, they can gain all kinds of boosts depending on the season. And the type of boost you get depends on the Legendary Hero too, right? I thought the stats that got boosted depended on whether you had a Fire, Water, Wind, or Earth blessing. Even though they’re both Earth types, Ike: Vanguard Legend boosts Atk, while Robin: Fell Vessel boosts Spd. You’ll find doing battle that much easier if you have blessings from Legendary Heroes that improve your strengths or shore up your weaknesses. You know what else is kind of a standard? Listening to your commander. Because the stats that can be boosted by blessings will vary between Legendary Heroes, you should ideally build a team of allies that can really maximize this effect. Here are a few examples to give you an idea. Ephraim: Legendary Lord’s effect will grant a Def boost during its season. 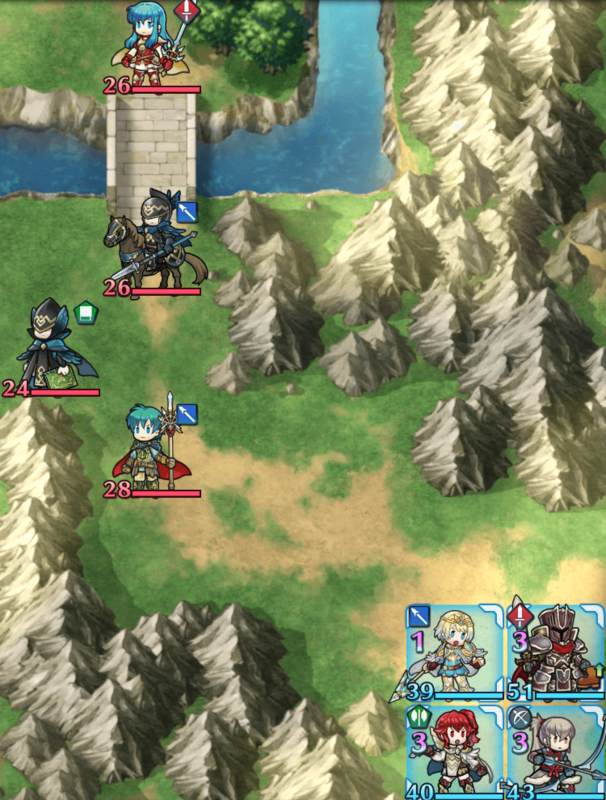 Ephraim can also boost Def even further using Fortify Def, making him a powerful asset for building a team of Def-oriented allies. Robin: Fell Reincarnation brings the Vengeful Fighter skill to the table, making him a great addition to this setup. Fjorm: Princess of Ice’s effect will grant a Spd boost during its season. Add allies with outstanding Spd, such as Mia: Lady of Blades, and you’ll be able to create a team that can reliably perform follow-up attacks against any enemy. On the other hand, you could also go for the alternate approach of increasing the Spd of slower allies, such as armored or dragon types, in order to mitigate their chances of receiving follow-ups. Gunnthrá: Voice of Dreams’s effect will grant a Res boost during its season. This can give you an advantage when fighting against tome and dragon foes, and when you’re fighting against particularly powerful foes of this kind in situations like the Grand Hero Battle, you can add allies that further increase Res to really blunt their attacks. Tharja: Dark Shadow, who has Spur Res 3, and other such allies are great candidates for this setup. Ike: Vanguard Legend’s effect will grant an Atk boost during its season. This increases Atk per hit, making for powerful synergy with allies wielding the Brave series of weapons, as well as Heroes like Reinhardt: Thunder’s Fist, who uses Dire Thunder—a weapon guaranteed to attack twice when Reinhardt initiates combat!